When I think of Thenga Sadam, Vendakai Mor Kulambu always comes to mind. 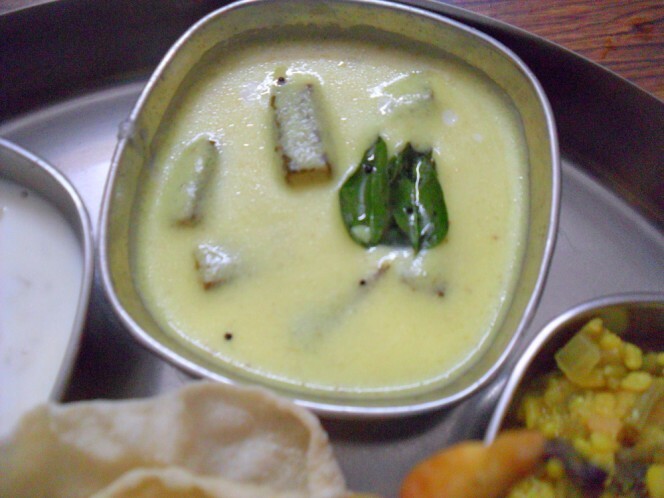 Amma makes this combination for Saturday lunch and when it is Coconut Rice, it has always been Vendakaya Mor Kulambu. And this used to be my favorite lunch box recipe as well. 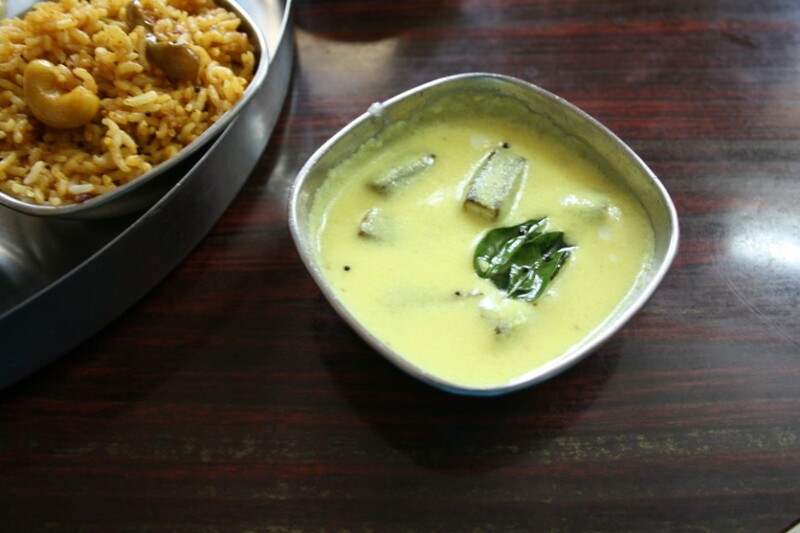 When we recently made Vangi Bath, we thought the best side dish will be only this. And I managed to take step by step pictures. 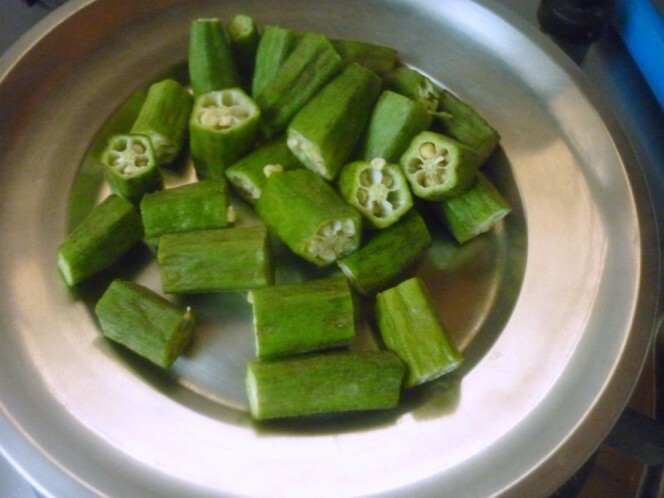 This is a wonderful way to include Okra in our meal and makes a great side dish for all mixed rice dishes. 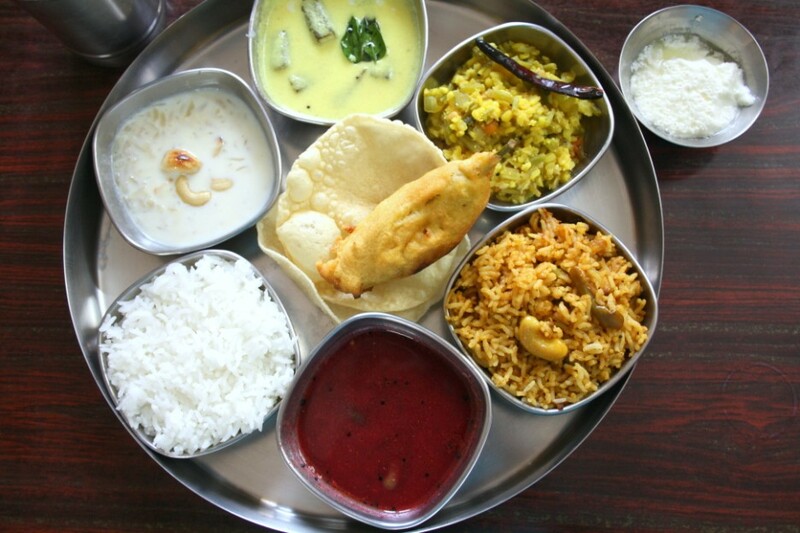 The simple lunch thali we made had Vangi Bath, Vendakkai Mor Kulambu, Thandu Kootu, Beetroot Rasam, Stuffed Pepper bajji with Atukula Payasam. Wash and soak rice and toor dal for 30 mins. 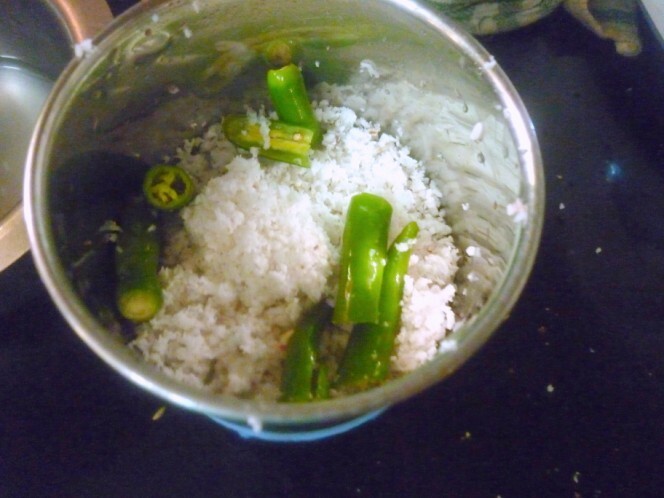 Then grind it to a smooth paste along with grated coconut, green chillies and cumin seeds. 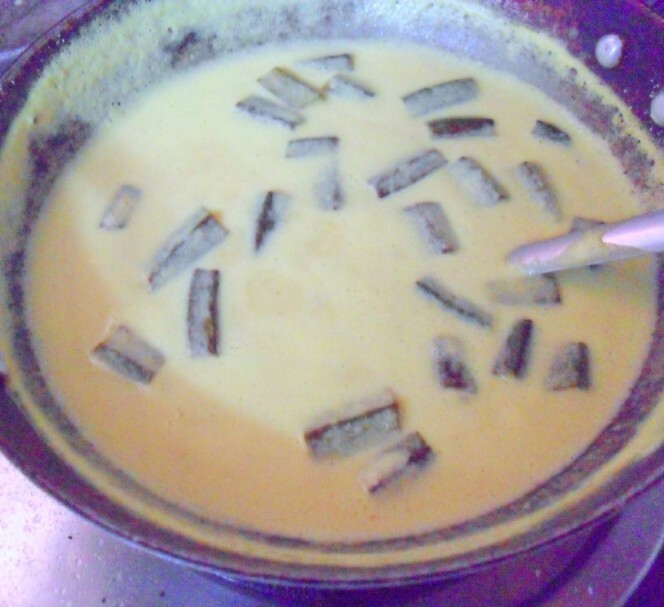 In a bowl, mix the ground paste with curds, turmeric powder, salt and required amount of water. 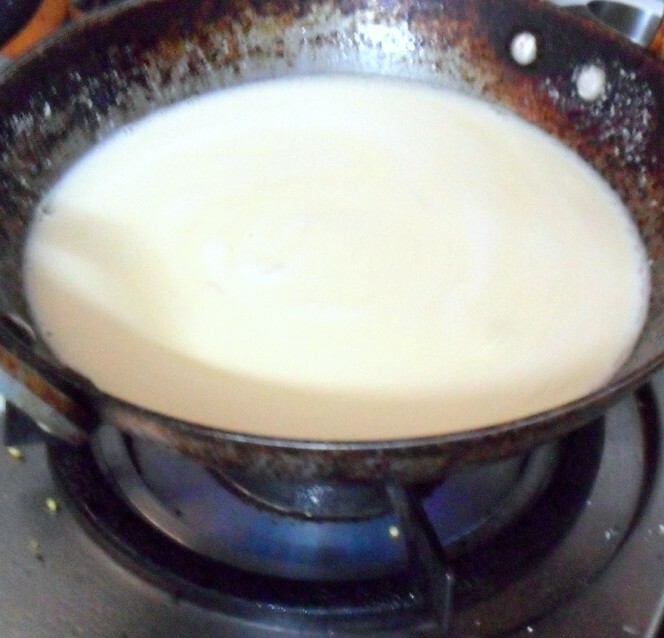 Water depends on the quantity you want the gravy to be and also the thickness. 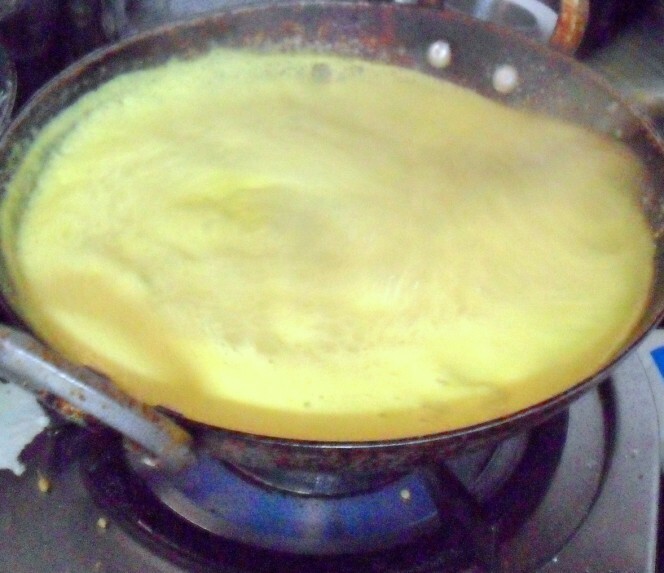 In a pan, bring this liquid to boil. Once it comes to boil, sim and cook for 5 mins. At this stage it will get very thick, so keep an eye to make sure the bottom doesn’t get burnt. 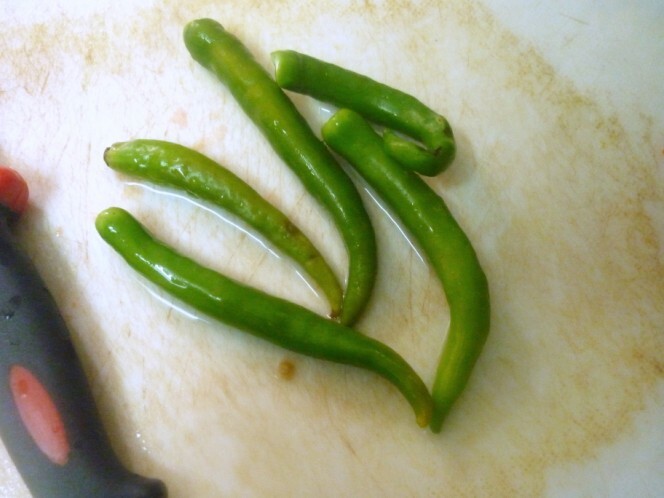 Wash and wipe the Okra dry, then chop to 2″ pieces. Dry roast them in a pan and add to the boiling gravy. 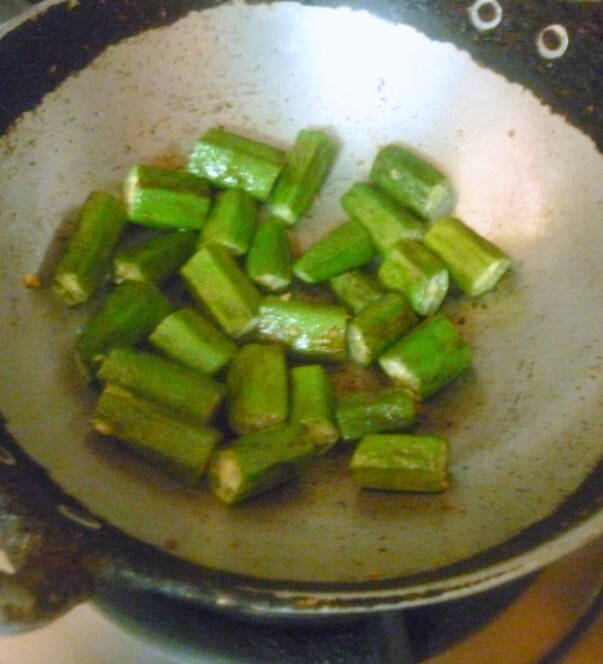 In a skillet, heat 1 tsp of coconut Oil and add curry leaves. Temper the boiling gravy with this oil. 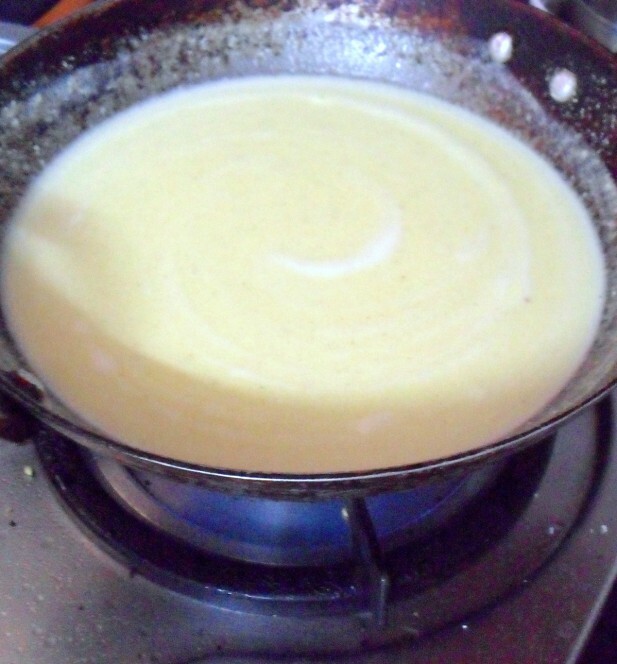 Coconut oil adds lot of flavour to this gravy. If you are not comfortable using coconut oil, you can replace with oil of your choice. So authentic mor kulambu with ladies finger. Love it. So Authentic.. 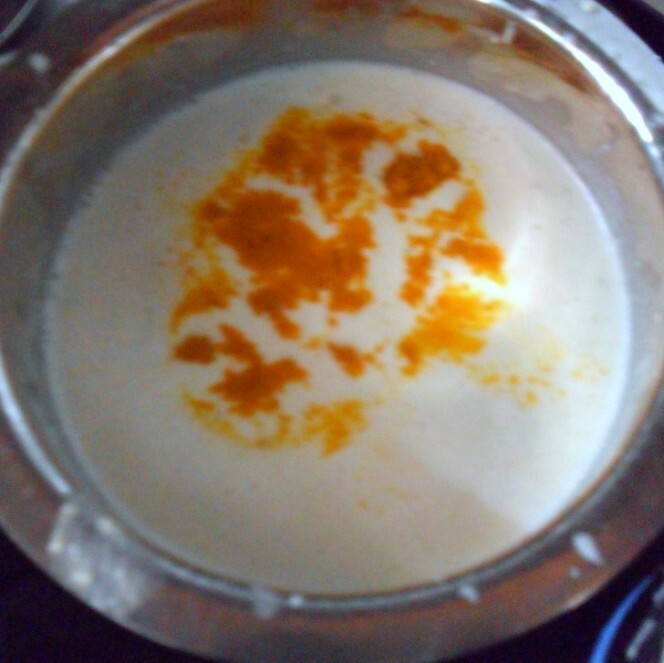 I have tried this with white pumpkin.. never tried with Ladies finger.. Thanks for sharing..